The BoSox Injection staff reflects on the 2016 season by grading each member of the Boston Red Sox based on expectations for them entering the season. On Thursday July 14, the Boston Red Sox attempted to bolster their inconsistent starting rotation by making a trade with the San Diego Padres for starting pitcher Drew Pomeranz. It was a move that was scrutinized and questioned immediately because Dave Dombrowski chose to send Anderson Espinoza packing, one of the top pitching prospects in the game and arguably the best pitching prospect in Boston’s arsenal. The aftermath that saw Padres General Manager A.J. Preller disciplined by Major League Baseball for not disclosing all of Pomeranz’ medical records only added to the dismay of Sox fans. Dombrowski knew that Boston had to add a starting arm to the rotation at some point, so he jumped on the chance to get a solid starter well before the trade deadline and before any other team had a shot at landing anyone. However, in order to fully evaluate Pomeranz and his time with the Red Sox, it’s important to remove the trade and odd circumstances that occurred afterwards from the equation. When Pomeranz arrived in Boston, he had already thrown 102 innings – more than he had ever thrown in his career. He was also coming off his first All-Star appearance with a 2.47 ERA and had struck out 115 batters – the most of his career. With the Sox planning to manage his innings and keep expectations in check due to the drastic change from the NL West to the AL East, they thought they could get the most out of Pomeranz in a breakout year. With Rick Porcello and Steven Wright rolling and David Price starting to come around, the thought was that there wouldn’t be much pressure on Pomeranz. Things didn’t exactly go as planned for his first handful of starts. He was winless in his first five starts, he wasn’t able to get past six innings (only three innings in his first start for Boston) and his ERA had slowly gone up over 3.00. 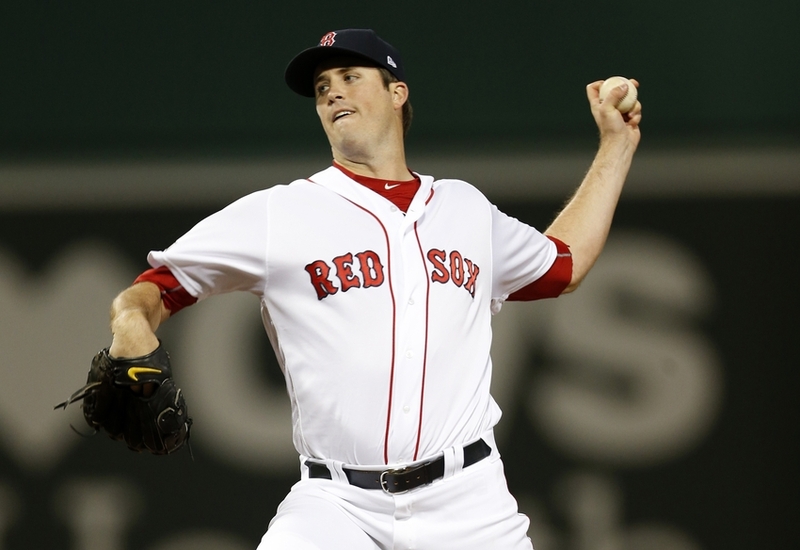 Once Pomeranz settled in, he became an efficient, able bodied starter for Boston in the second half of the season. He was never able to pitch much more than five or six innings, although he did get into the eighth inning in one appearance, but the Red Sox planned accordingly for this when his turn in the rotating approached. He finished the season going 3-5 in his time with Boston and an ERA of 4.59. A couple rough outings toward the end of the season caused his ERA to really balloon. Pomeranz struck out 71 batters. He mainly pitched to contact which caused him to give up some hits for sure, and he gave up a decent amount of homeruns too – on average, one homer per game in his time in a Sox uniform. By the end of September, John Farrell announced that Pomeranz would not be making another start due to shoulder soreness. This of course led to more speculation about the shadiness of the deal on the Padres side, but in the end Pomeranz would not require surgery. He pitched out of the bullpen for the rest of the season and showed some promise in ALCS as a reliever despite giving up a monster dinger to Coco Crisp in Game 3 that really hurt the Sox. It’s difficult to evaluate Pomeranz’ time with Boston because it really depends on how you want to look at it and how you manage the expectations along with the information on the shoulder soreness and the Padres withholding information on his medical records. When you think about who Boston would have been sending out there in his place if they hadn’t made the deal – Joe Kelly, Henry Owens, some other young, inexperienced youngster just begging to get hit around the ballpark – the importance of adding Pomeranz to the rotation becomes more apparent. But when you sit back and think about trading away a top-tier pitching prospect for what amounts to a mediocre, back-end of the rotation starter, it’s easy to get frustrated with the move. Either way, I understand the logic and think it was certainly necessary for Dombrowski to bring someone in at the time. But just looking at the performance and the numbers on their face value, Pomermanz was slightly better than average for Boston. Most likely, more of the same. It will be interesting to see what Pomeranz does in the AL East now that he will be with the team right from the start at Spring Training. Perhaps the Sox will be able to get more out of him, but it’s likely that he’ll be their fourth or fifth starter and be a solid, reliable arm to get out there every fifth day. He had moments where he shined for the Padres last year in what amounts to the best season of his career, but I’m not convinced that he can repeat that for Boston. The real question may be what’s next for Anderson Espinoza so we can truly evaluate this deal.